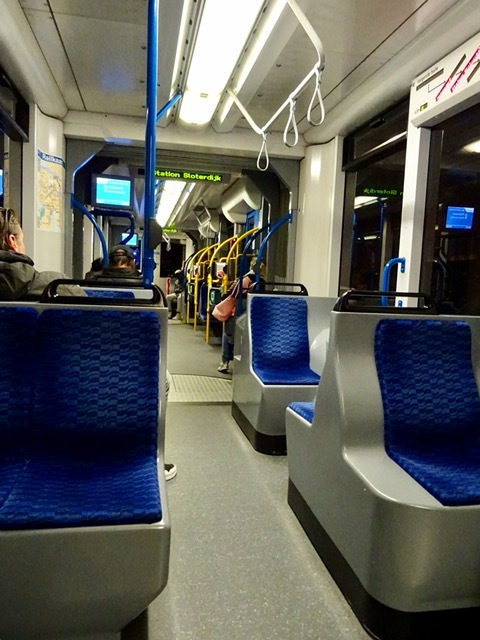 The alarm went off at 5:00 am this morning, as we needed to catch the 6:00 tram to the train station and then take the train to the airport. All went well and there weren’t many people out and about so early in the morning. The Amsterdam airport is very large. We took a five minute bus ride to get to our plane. 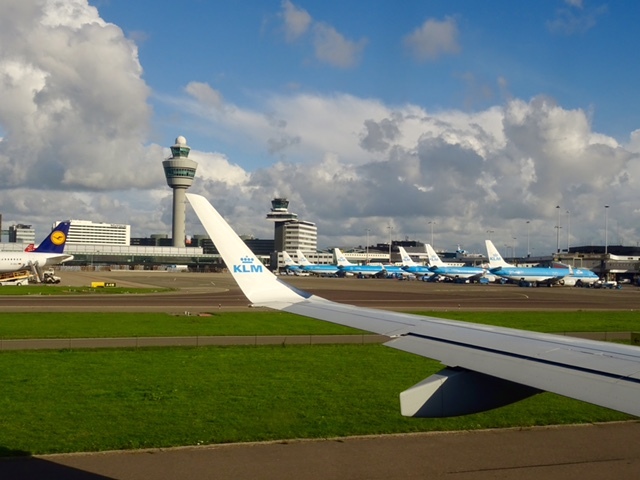 There were dozens of KLM Planes were parked in rows, waiting for passengers. Soon we are on our way. 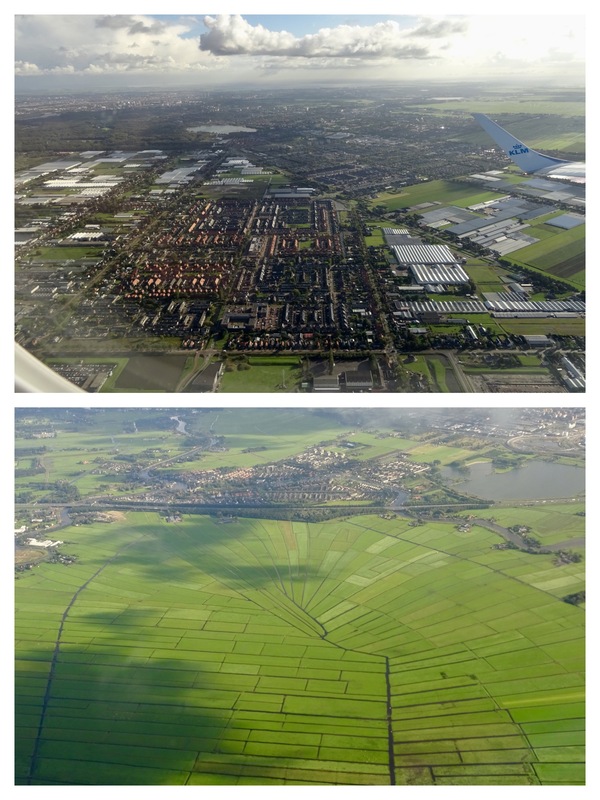 These were our last views of Holland and I loved the interesting shapes of the farm fields. And these are the sights as we head towards Croatia. 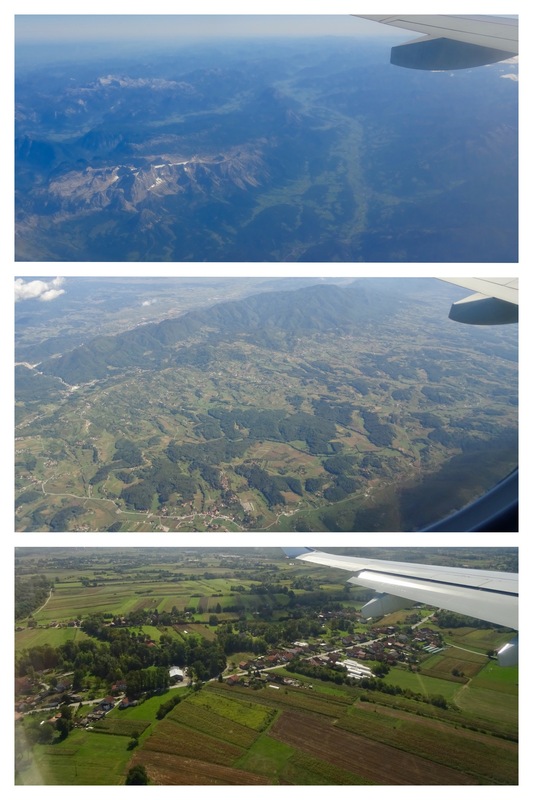 The bottom photo is just before we land in Zagreb. Can you tell I love looking out plane windows? 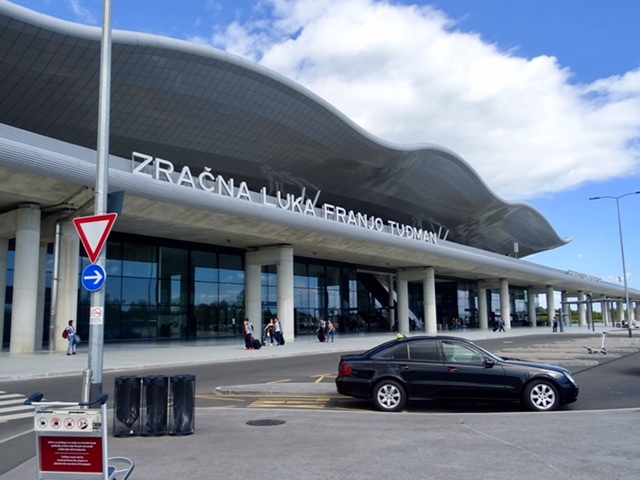 The Zagreb Airport is very new and not very big. There were only two luggage carousels, and a big empty space where more can be added at a later date. 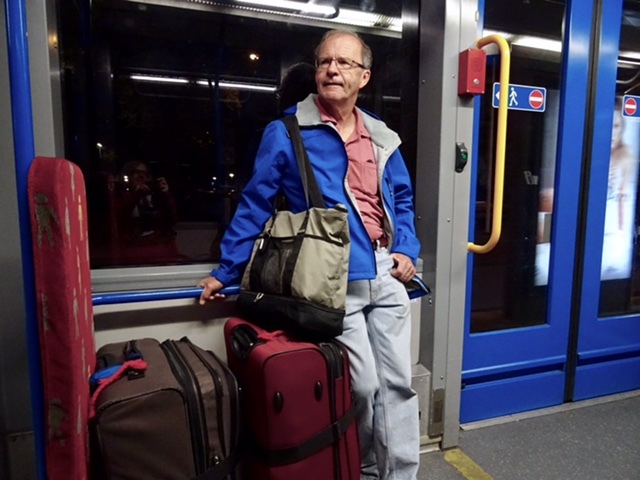 We catch the waiting bus into town and then a taxi from the bus station to our apartment. It is only 48 Kuna, or $12 Canadian which is a bargain. We have discovered how nice it is to have someone else take us right to the door of our new accommodation. It is money well spent. There are lots of stairs up to our third floor apartment, 78 of them! We were both definitely puffing by the time we reached the third floor. Our host was waiting for us with maps, brochures and lots of information about Zagreb. It certainly helps to have a host who speaks English. We went out for groceries and walk through a nearby park where a film festival /burger food fair is taking place. Seems like a strange combination. We find a grocery store and pick up a few groceries and a cooked chicken for only 22 kuna ($4.50 C). We then both crashed and we have a nice long nap before going back out for more groceries. We need to visit two stores, but we find what we need for the next few days. Here is the park where the film/burger festival is taking place. We climb those 78 steps one more time and settle in for the evening. We only have three days to explore here because we lost one day with our flight cancellation. Too bad, there is a lot to see and do here. 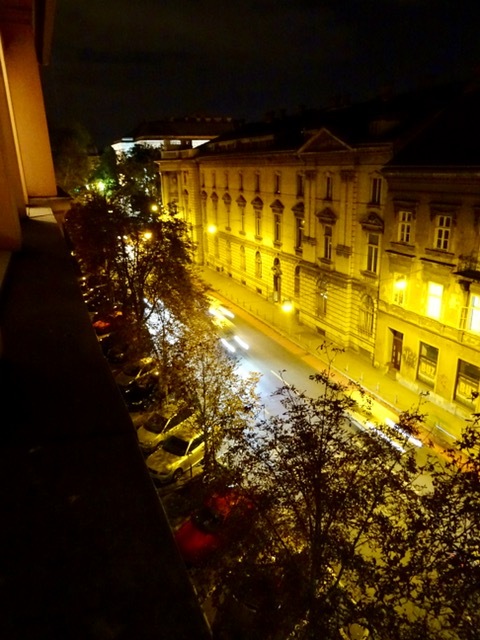 This is the view of the street from our apartment windows. 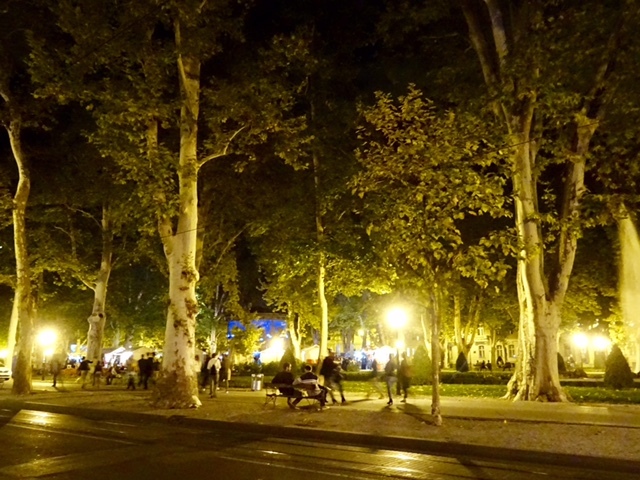 This entry was posted in Amsterdam, Croatia, Festivals, Zagreb and tagged Croatia, Trains, Trams, Vacation, Zagreb by Trudy. Bookmark the permalink. Yes, but it will help me get in shape. 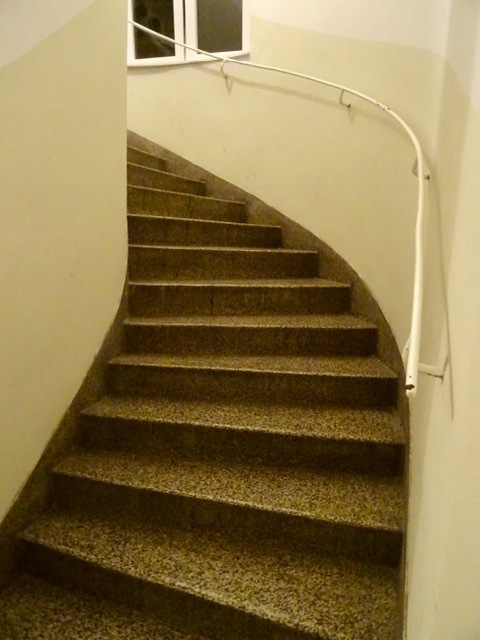 By the end of our Spain, Portugal trip I could climb 300 steps without too much problem!